The AF Zoom-NIKKOR 24-85mm f/2.8-4D IF is ideal for landscapes, travel, full length portraits, studio work and more. Thanks to a unique design and Internal Focusing (IF), its filter attachment does not rotate during focusing or zooming. And with a maximum reproduction range at 85mm of 1:2 (half life size), it is also a viable macro lens for close-up shooting. 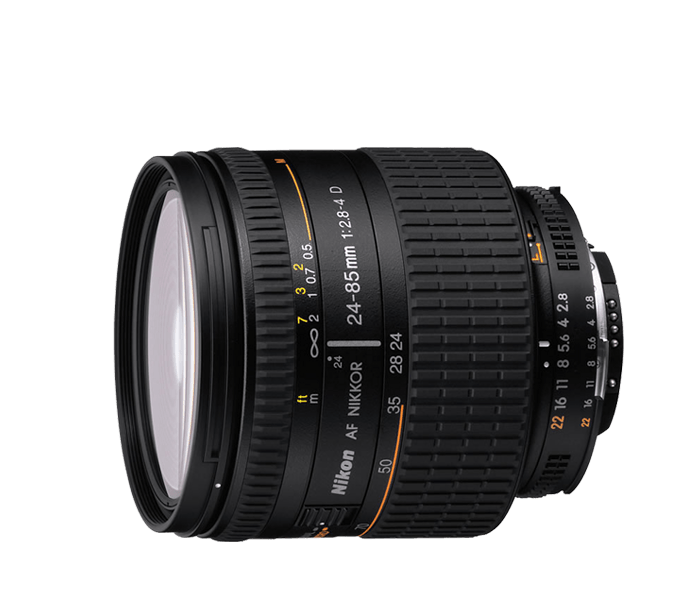 The AF Zoom-NIKKOR 24-85mm f/2.8-4D IF’s fast f/2.8 maximum aperture at the 24mm setting is ideal for low-light shooting or creating beautiful background blur (bokeh). It also makes the lens an effective choice for slow or rear flash sync techniques. Expand your capabilities.